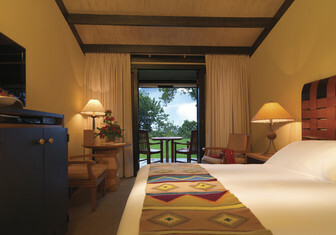 The Belmond Sanctuary Lodge is the only hotel that is located in Machu Picchu. Not only is it a luxury 5* hotel which offers views over the citadel from the gardens, it's location means that you can be the first through the gates to see Machu Picchu in the morning. A chance to almost have the place to yourselves before anyone else has even had chance to arrive! Eco Camp is one of the most unique accommodation experiences in the whole of South America. Each room is an individual geometric dome with views over the Torres del Paine National Park. The whole village has a real eco focus and an excellent programme of walking and mountain biking in the National Park. There is nothing like discovering the ancient citadel of Machu Picchu for the first time. Though Machu Picchu has plenty to bring visitors back time and time again too! It's a marvel of engineering that offers breathtaking views throughout the valley and the fascinating history of this ancient civilisation is brought to life by our expert guides. Go to Machu Pichu. The Iguazu Falls is one of South America's most impressive natural attractions. 275 separate waterfalls make up a 4km wide horseshoe shape across the Iguazu River. The Devils Throat is the most impressive drop where you will experience a resounding roar of water thundering down the 90-metre drop. Go to Iguazu Falls. The Statue of Christ in Rio de Janeiro is one of South America's most iconic sights, and for good reason! The statue itself is very impressive but the view over Rio de Janeiro is breathtaking and well worth making the effort to get up there. Go to Rio de Janeiro. Patagonia is an area of outstanding natural beauty that spans the Southern areas of Argentina. Ruta 40 is a stunning road that heads all the way down through the country in the shadow of the Andes Mountains. It's most stunning parts to drive are in the south areas where the mountains are at their most dramatic. The Amazon is the world's largest rainforests and spans Brazil, Peru and Ecuador. It's unique ecosystem is sure to leave you mesmorised and in no doubt that it's careful preservation is essential. You can explore the Amazon on a river cruise or from a number of fantastic jungle lodges. Go to the Amazon. Argentina is famous for amazing steak, Peru is famous for delicious seafood, Chile is famous for tender Patagonian Lamb and Brazil is famous for the Rodizio BBQ. Tha's not forgetting some of the worlds most iconic drinks including the Peruvian Pisco Sour, Brazilian Caipirinha and world famous wines from Argentina and Chile. South America is sure to deliver a culinary feast to remember! Enquire About Your South America Holiday. A holiday to South America really does have it all - incredible landscapes, amazing sights, vibrant cities, tranquil beaches and encounters with some of the friendliest people on the planet! In one holiday it is possible visit Machu Picchu, dance tango in Buenos Aires, go walking in Patagonia, relax on the beaches of Brazil and take a river cruise down the Amazon! Our holidays to South America start from £2,280 per person, get in touch to book your perfect trip. The choice can be a little overwhelming and fitting everything in can be difficult too. (Although we would always recommend spreading things out over more than one holiday!) This is where Latin Routes can help as all of our South America holidays are tailormade around you. Our friendly Travel Specialists have extensively travelled throughout South America. They can talk through your requirements and make some great recommendations too. Then let us do the hard work and create your perfect South America holiday, including flights, accommodation, tours & transport. You can make changes as many times as you like until you are 100% happy. A 12 day Argentina and Braizl holiday including Buenos Aires, Iguazu Falls, Rio de Janeiro and Buzios. A 4 Week Holiday Exploring the Best Of Southern Patagonia, Northern Argentina and the Beaches of Brazil. A 12 day holiday offering a flavour of Brazil's amazing destinations at a great price!